Yes there are tulips in Texas and like everything else in Texas, they are big and beautiful. We have a yearly tradition of visiting the Dallas Arboretum during their Spring bloom season to enjoy the hundreds of colorful spring blooms from tulips, daffodils, Dutch Iris and hyacinths, pansies, violas, poppies and thousands of other spring-blooming annuals and perennials. Dallas Arboretum was the only place around town where you could see rows after rows of tulips – that was before Texas Tulips entered the spring blooms scene. 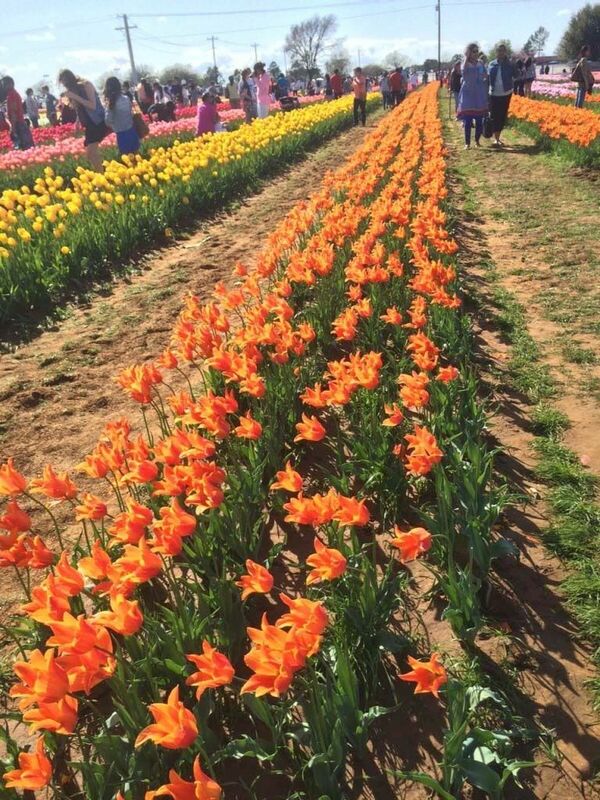 Set in a farm only 45 minutes drive from Dallas, Texas Tulips looks like a mini getaway to the tulip fields of Holland. With a forecast of sunshine and high 60s this weekend, we are planning on packing a picnic and stopping for a visit. For a minimum entrance fee you get to pick the tulips you want in a cute basket. Then you pay for the tulips and the staff puts them in gel and wraps them beautiful to take home and enjoy. 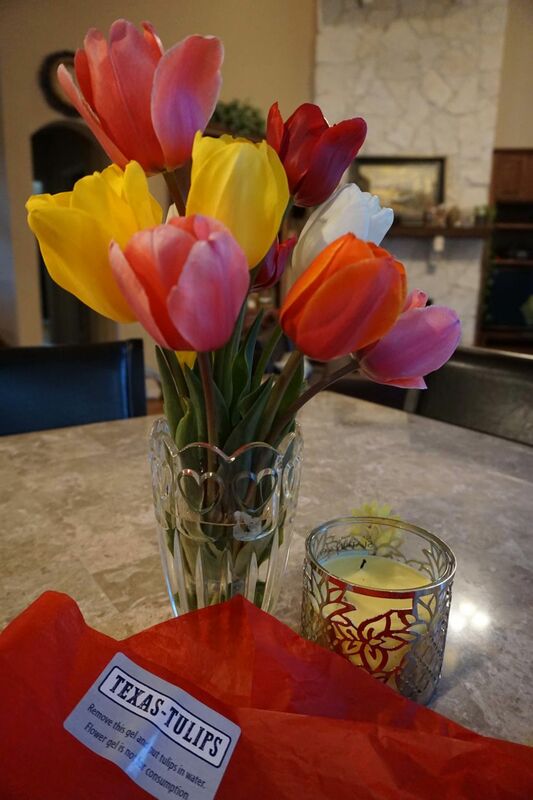 Texas Tulips has brought the joy of Holland tulips right here to Texas! If you like to grow them in your own yard plan early and buy their pre-cooled Tulip bulbs sold by the dozen that are prepared and ready for planting. The bulbs will be delivered early-December 2017 through early January 2018. If you like the blooms but not the work, Texas Tulips will even come plant it for you. They have a bulb planting machine that can plant bulbs quickly, easily, and can even plant through sod. This service is available if you buy 2000 plus bulbs. Pieter and Petra Koeman, who are originally from the Netherlands, brought a piece of their home to Texas by opening Texas-Tulips. They visited Texas several times, loved what they saw, and finally decided to set up a tulip company in Pilot Point Texas. They found the perfect fusion of fertile soil, country charm within the DFW-Metroplex, and nice weather during the spring season in the gentle, rolling hills north of Dallas. They plant the tulips in December and they bloom from March to end of April. 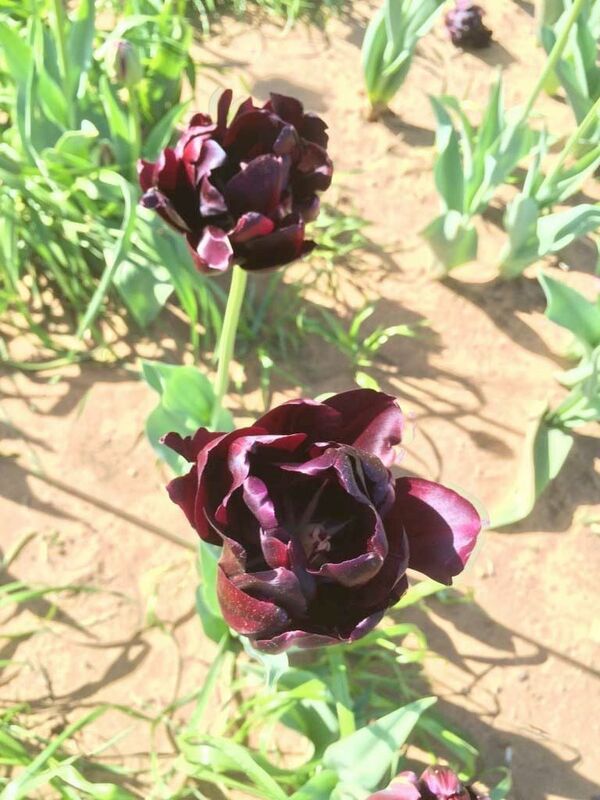 Their mother Afra at 73 years old, is still very active in the company, she along with her husband owned a 80 acre tulip farm and each winter grew tens of millions of tulips in their greenhouses. These tulips were then sold at flower auctions in the Netherlands. Spring is usually when we North Texans begin searching for bluebonnet fields to take our spring pictures, this year instead head to Texas Tulips for your Easter or Spring pictures. 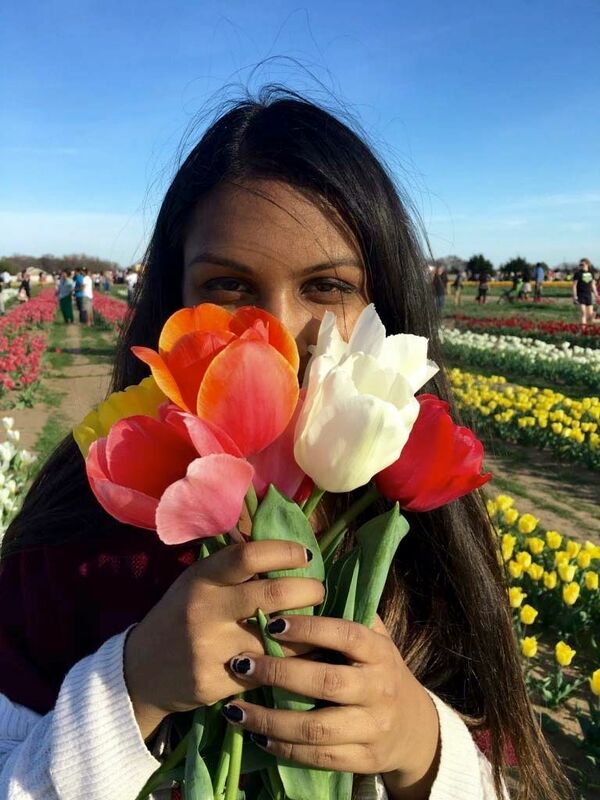 It’s a European floral paradise right in the heart of North Texas with rows upon rows of yellow, white and pink tulips blossoming. The gorgeous pictures will have your friends thinking that you went on an European getaway to the tulips gardens of Netherlands. Parking, Restrooms, and Benches available.